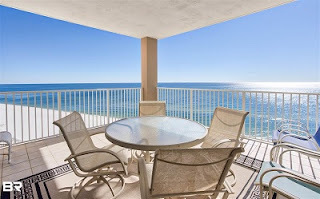 The Sands Real Estate - Orange Beach AL. The Sands beachfront condominium for sale in Orange Beach Alabama Top floor 3br/3ba unit offers a functional split bedroom floor plan, with a sunlit living/dining area and more than conveniently-sized kitchen complete with attached dining area, wet bar, kitchen island and large countertops with spacious breakfast bar for extra seating.The master bedroom suite features private balcony access, double vanity sink, garden tub and separate walk in shower. As an added bonus to the beautiful coastal condo offers a private indoor/outdoor pool, kiddie pool, spa/hot tub, tennis court, BBQ and onsite management. In this super convenient area of Orange Beach, you will be located near some of the best restaurants, shopping and entertainment spots around! Whether you are looking for a promising investment property or a permanent home, you do not want to pass up this chance to enjoy the coastal living lifestyle!